Women's dress shirt in white Oxford. The weave of the pinpoint Oxford is dense and opaque and has a soft texture. 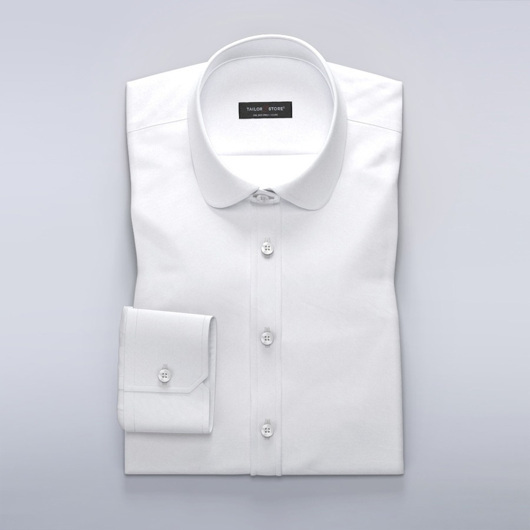 A comfortable and elegant dress shirt with a business collar for a well-dressed look. Easy iron. Made to your measurements.